about taste by L&L Co.
Perched on a cliff, Taste by L&L Co. sits within Rainbow Ocean Palms Resort, Rainbow Beach, Queensland. 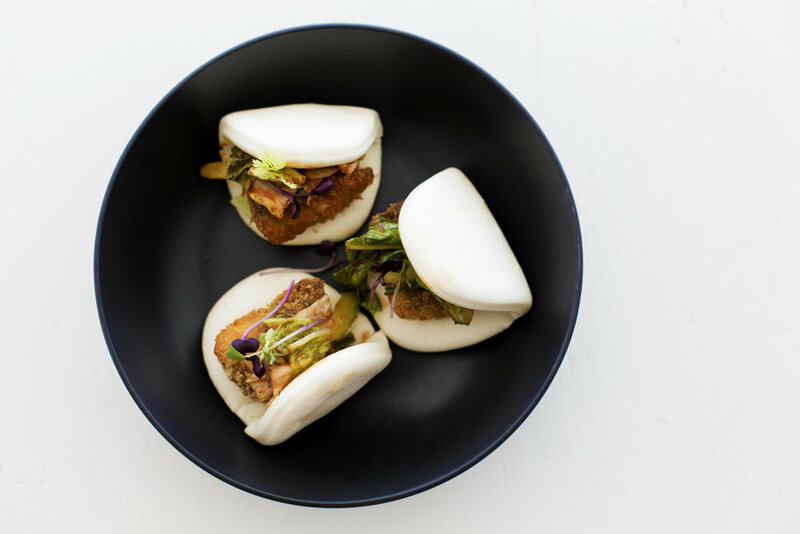 Taste by L&L Co. is designed with a focus on relaxed modern wedding dining experiences starting with canapes before moving to long table style share platters or a custom designed table banquet to reflect each couple's individual style and tastes. Created by L&L Co. Events owner, Sara Morley and featuring head chef James Wilson, Taste by L&L Co. draws on their event experience and understanding of fresh local produce to create a memorable food journey with sweeping views across Rainbow Beach. The restaurant seats 75 guests comfortably and offers a range of menus to suit brunch, lunch and dinner functions. Dinner functions are required to take the boutique accommodation within Ocean Palms making it the perfect opportunity for guests to mingle, relax by the infinity pool or explore all that Rainbow Beach has to offer as a gateway town to Fraser Island and some of Australia’s most pristine beaches. Use of restaurant venue for 8 hours total. RSA bar staff to serve your (BYO drinks) at the bar. Use of restaurant venue for 6hours total. 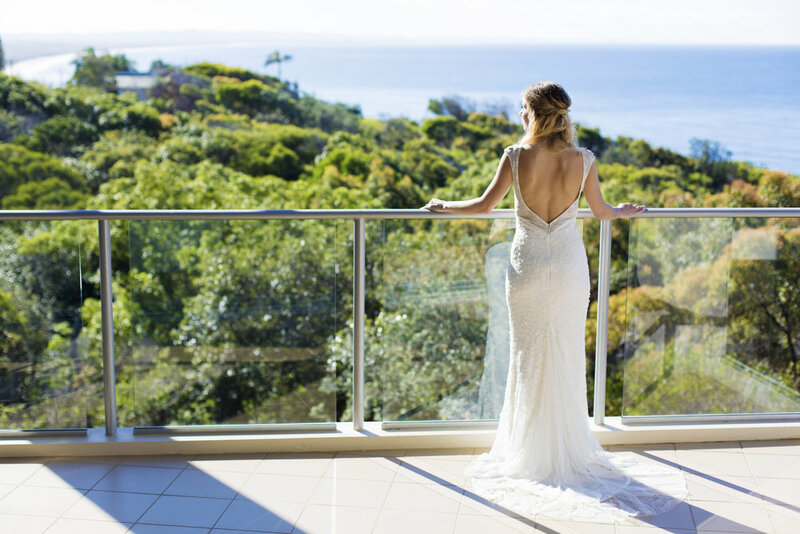 Furniture & DECOR HIRE: Simply Style Co.
Rainbow Ocean Palms Resort is a boutique apartment complex perched on the highest point in Rainbow Beach, offering luxury accommodation with panoramic ocean views to World Heritage listed Fraser Island. The resort's unique location above the coloured sand cliffs commands the most spectacular ocean views over Rainbow Beach. Nestled against Great Sandy National Park, peace and tranquillity abound in a place where luxury meets nature and the forest meets the sea. 2 and 3 bedroom, luxury apartments sit perched atop a hill giving stunning panoramic views of the forest, beach and sea from every balcony. With a maximum capacity of 62 guests within the 11 apartments. Please note all wedding bookings are made through Taste by L&L co. not through the resort itself. For wedding bookings the resort policies within apartments still apply throughout the building including noise restrictions and pool use times. Rainbow Beach is a small coastal village nestled against Great Sandy National Park and encircled by the natural beauty of sculpted coloured sand cliffs, tall coastal forest and the brilliant blue of the ocean. Rainbow Beach is located just 2 ½ hours drive north of Brisbane and 1 ½ hours from the Sunshine Coast. Give us a call on 0409 842 749 or send us an email by filling out the below form.